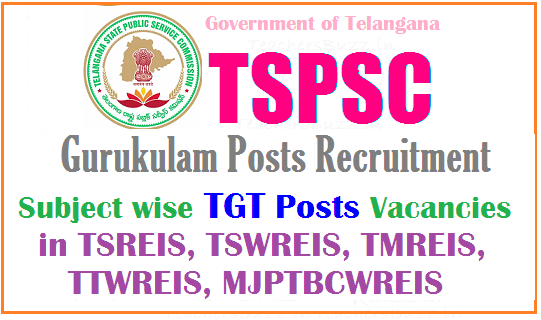 TSPSC Gurukulam Subject wise, Post wise vacancies for Teachers, non teaching posts recruitment 2017.Trained Graduate Teachers Subject wise vacancies details are given here. Preliminary (screening test) is likely to be held on March 19 and the main examination (objective type) is likely to be held on April 30. The commission reserves the right to conduct the examination either Computer Based Recruitment Test (CBRT) or Offline OMR based examination of objective type.